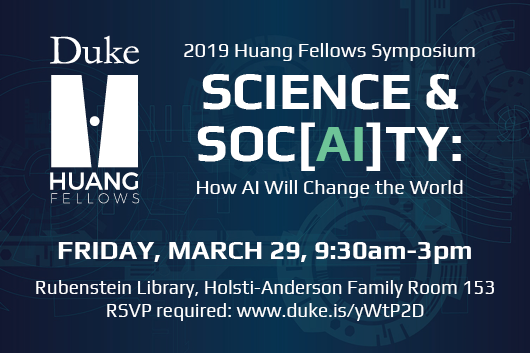 Join us on March 29th for the 2nd annual Huang Fellows Student Symposium with keynote speaker Douglas Rushkoff, author of Team Human, Throwing Rocks at the Google Bus, and Present Shock. This year's symposium will be centered around the social implications, applications, and development of artificial intelligence. Our guest panelists will discuss AI in the context of medicine, military, and the economy. Box lunches will be provided for the keynote session. RSVP required.